Multi - Flavoured Air Wicker Spray - 617 oz refill / 250ml. The unbeatable freshness that lasts for months-(up to 60 days, based on original freshmatic ultra min-Setting). Fits air wick freshmatic ultra, ultra I-motion, ultra odour detect and Lysol Neutra air fresh matic sprays. - Features: Capture the freshness and warmth of sweet and spicy notes that welcome guests like a warm blanket on a crisp autumn day. Create an inviting and delightful environment with gourmet fragrances from Air Wick. - How to Use: 1). Twist open. 2). Insert refill. 3). Twist closed. 4). Insert batteries, adjust fragrance, and enjoy....!. 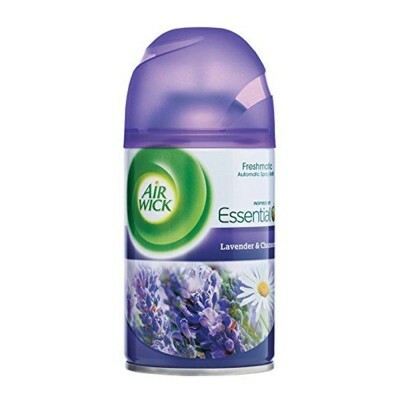 Choose the Perfect Fragrance: Air Wick offers a variety of fragrances, including Floral, Lavender, Linen, Tropical, Fresh, Fruity, and Gourmand. 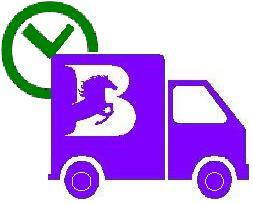 Consider Using in: Bedroom, Living Room, Bathroom, Kitchen, Laundry, and Office. 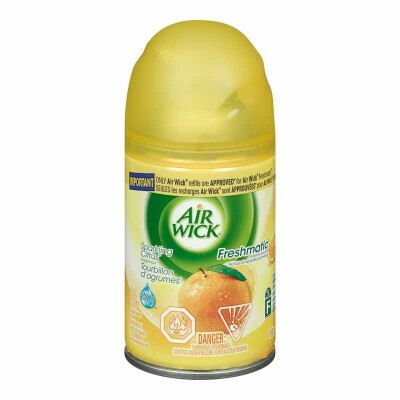 - Product Description: Air Wick Freshmatic Ultra Automatic Spray - Refill Muti Flavoured Cinnamon Medley. 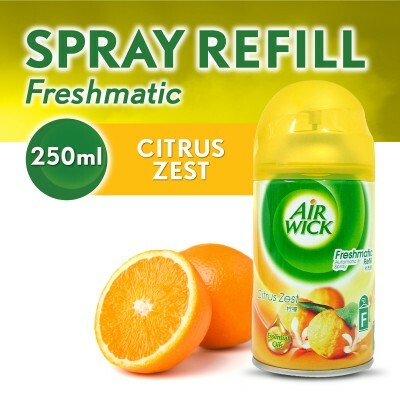 Refill for AIR WICK FRESHMATIC Ultra Automatic Spray. The AIR WICK FRESHMATIC Ultra Automatic Spray's time-released fragrances are subtle, but give you the confidence of knowing that your home is always welcoming and pleasurable for family and unexpected guests. Just set it to your preferred fragrance level and enjoy the continuous freshness. 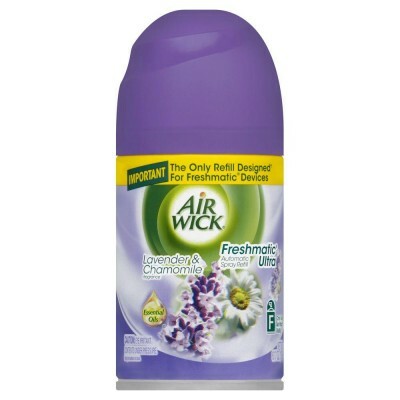 The AIR WICK FRESHMATIC - Ultra Automatic Spray does all the work for you. 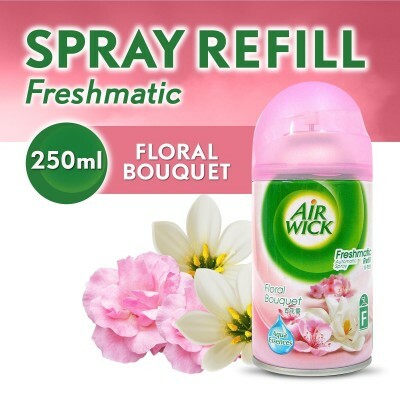 - Replace with Any Scented Refill: When your Freshmatic unit runs out of spray, you can simply replace it with any one of AIR WICK's Freshmatic Ultra refills. Simply remove the old fragrance can and insert the new one into the unit with the nozzle facing outward until you hear a click. To remove fragrance, unplug the unit and firmly pull the can down. 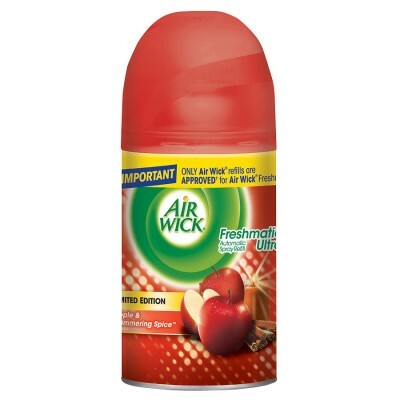 - What's in the Box: AIR WICK Freshmatic - Ultra Refills Warm Apple Pie-(6.17 - ounces each).